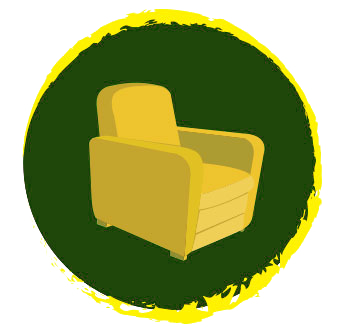 From sunken seats to broken recliner mechanisms , we repair broken furniture, often right on site. That’s how we repair broken furniture frames. Often we will reinforce them with metal or stronger wood than the furniture was originally built with. We have seen it all, from snapped frames to broken recliner mechanisms. 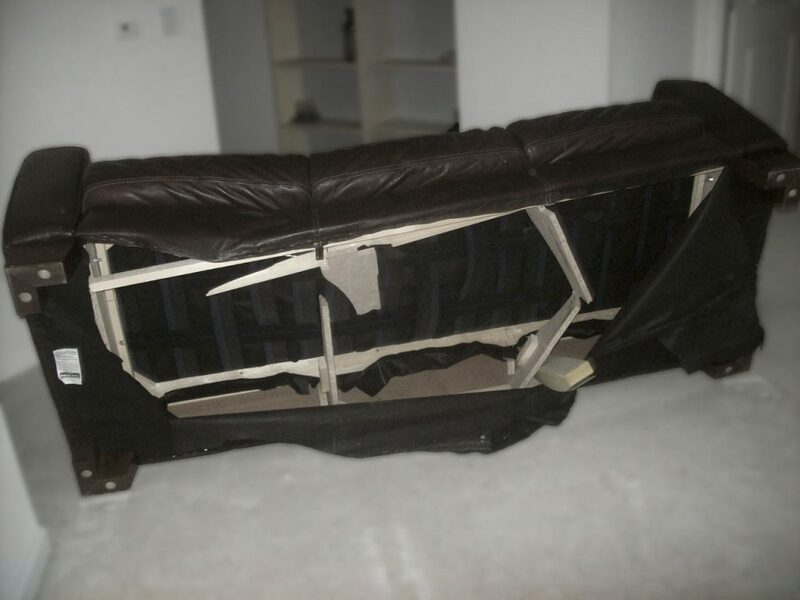 Whether your furniture requires a part replacement to return it’s structural integrity, or it can be rebuilt using tools, we can fix your broken furniture frames on location. Before you throw away your furniture because you think it’s beyond repair, contact us for a quote. We often repair your furniture better than new! We see this all the time. Sometimes, the tension of the springs on a recliner are really high. Combine this with our natural inclination to “flop down” in our recliner and boom, the whole seating area buckles in. What happened it that the springs with literally pull the frame apart. As broken and devastating to the chair as this seems. The fix usually only takes an hour or two, depending on the frame of the chair. We simply disconnect everything and rebuild it, adding new structural reinforcement to prevent future breakage. One of the worst problems a recliner can have is a broken mech. It virtually incapacitates your chair. However, oftentimes, your mech is under warranty from the manufacturer. You may only need to pay for the installation! You can typicaly find the manufacturers information on a tag stapled to the underside of the recliners footrest. Often, you have to slam down the footrest of the recliner quite hard to make it stick, we see this a lot. Do this for a few years, and you’re likely to snap the footrest in half or right off the frame. Sometimes, the footrest stays intact, but the metal arms of the mechanism get bent, and then it just won’t want to close.